Studies show that regular meditation is proven to lower stress levels, blood pressure, and even reduce chronic pain. Studies also show that people regularly feel increased levels of stress around the Holiday Season. Join Ryan for an afternoon of guided meditation and breathwork designed to help you manage the Holiday Season. You will receive instruction and guidance on a simple breathing exercise for managing stress. There will also be two guided meditations. The first will help you to scan your body and bring a loving awareness to areas where we hold tension in the body. After a short break, the second meditation will focus on self-compassion to help release stress, harmful expectations, guilt, shame, grief, and other difficult emotions that can arise around the holiday season. There is power in numbers. Believe it or not, there are studies that prove the existence of a ripple effect of peace in the surrounding environment when a group meditates together. In fact, we can literally meet people on the same wavelength: recorded EEG results show that brainwaves synchronize while meditating. You should leave feeling warm, centered, with greater levels of peace and understanding towards self and others, and maybe a bit of joy! All practices will be offered at a beginner level. No experience is necessary. Ryan believes that all spiritual traditions offer contemplative practices that are beneficial for personal growth and improving interpersonal relationships. He personally found a home within the spiritual tradition of Tibetan Buddhism which he has studied intensively since 2009. 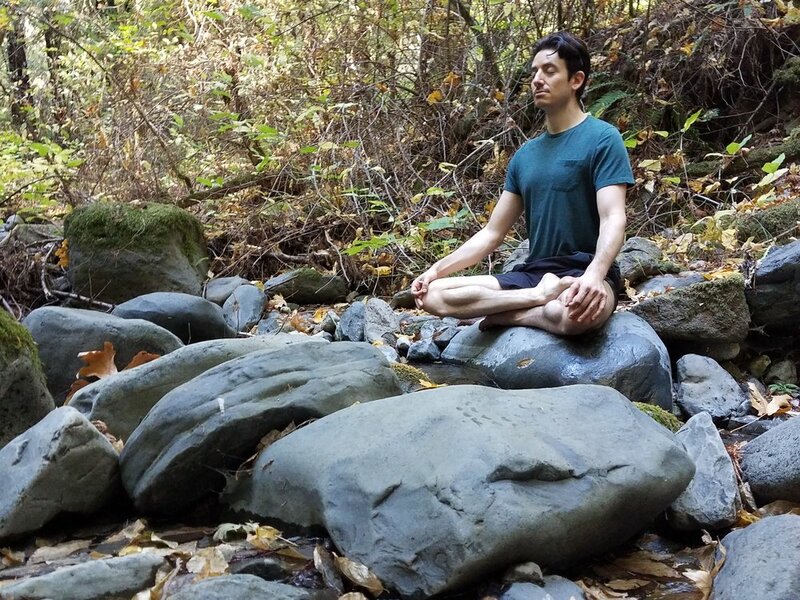 Ryan has completed several short and medium length meditation retreats and has also earned the title of Maroke, signifying the completion of a traditional course of study of Tibetan Buddhist Philosophy. Ryan brings kindness, compassion, and humor to his meditation classes.